My home country Canada abounds with traditions that are fanciful and untrue. There is the stork that brings new babies and also the custom of the "tooth fairy" who comes while a child sleeps and leaves money under their pillow in place of a tooth that has fallen out. Then there is the bunny who leaves chocolate eggs and ducks and bunnies in hiding places for children on Easter Sunday. Lastly, there is Santa Claus who tours the world on Christmas Eve on his sled pulled by nine flying reindeer, bearing presents for children who behave more or less according to their parents expectations. It is needless to say who the masterminds behind all this hocus pocus are. Leaving the artificial comforts of my home when I was just sixteen, I found an abode of truth at Guru Ram Das Ashram in Toronto. The people living there greeted me with "Sat Naam!" It meant "True Name," they told me and I liked the sound of it, though my critical side wondered, "Why a "True Name" and what is a "false name" anyway?" When a senior teacher came from Washington, I asked him, "Why is God's Name identified with truth? Why don't we say God's Name is love?" The man had a nice beard and turban. People said he would likely be the head of our organization one day. But he had no answer to my question. I pondered Gurbaanee for any secrets it might reveal. In Japjee Saahib, of course Guru Naanak Dev Jee tells us to meditate on Sat Naam in the predawn hours. In the fourth verse of Anand Saahib, Guru Amaar Daas Jee says that Sat Naam is his support. In Raag Dhanaasree, Guru Raam Daas Jee instructs his mind to ever meditate on Sat Naam. I found many references, but none of them sheds light on what I most needed to know. Now one thing I liked about the brave man who inspired our movement in the West, who guided us to the path of Siri Guru Granth Sahib, was that he did not teach us a theology. Our Siri Singh Sahib taught us in practical, human terms. In his words, Ekongkaar meant "You are the One" and "You are the creation of the One." Sat Naam: "Your identity is truth." Akaal Moorat meant "You are a personified god," and so on. Our Siri Singh Sahib also laid out our path as Sikhs in simple terms. 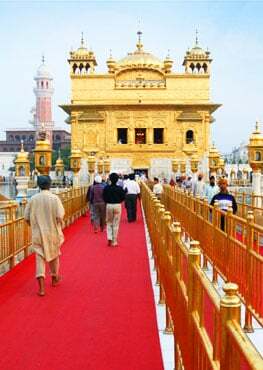 "From Sat Naam we have to travel to Wahe Guru. That's all... Sat Naam is the basic identity. 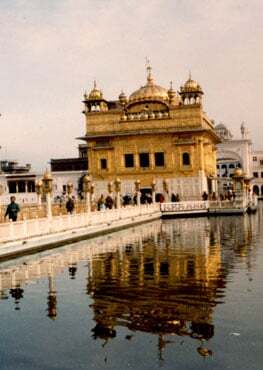 Wahe Guru is the experience of the identity." In my experience, I had since long been aware of how the background of English words, how they were originally used, often shed surprising light on their present useage. A word like "holy" is related to the word "hale" which means well and "inhale," not unlike the words "spiritual," "inspiration," and finally "expiration" - all of them linking the idea of sacredness with the breath, what we call "Pavan Guru." But I had never applied this methodology to Gurbaanee until one day I happened to look at a Sanskrit grammar and noticed the forms of the verb "to be." To my surprise and delight, I found there my old friend, sat in the form of a verb, third person singular, as in "she is," "he is," "it is." I also recognized that if something is, it is sat and if it is not, it is asat. In modern Punjabi also, sat means "truth" and asat means "untruth." In relation to naam, the identity, I realized that basically Sat Naam means "to truly be," "to be authentic," "to be real," and "to be true to one's self." Of course, in English, the language of a culture known more for its conquest and technology than its philosophy, the very idea of "self" is often confused. We may say someone is "self-realized" or "self-actualized" and mean it as a good thing. Then we also say someone is "selfish" or "self-obsessed" and we mean it as a bad thing. What is this "self" then, and what could it mean to "just be yourself?" Let us look at children, remembering that we were all children once. What qualities do we find in children's ordinary state of being? They are present-oriented, innocent, sensitive, trusting, easily satisfied, affectionate, curious, imaginative, and self-accepting. These spiritual qualities are innately theirs unless they are in some way disturbed. The very idea of not accepting her or himself for what they are is impossible for a small child even to imagine. In this light, it is relevant to mention an informal study conducted by Bronnie Ware who spent several years in Australia attending to the dying. In her book, The Top Five Regrets of the Dying she describes what she found to be their biggest regret: "I wish I'd had the courage to live a life true to myself, not the life others expected of me." In her observation, Ms. Ware reinforces the Guru's message, of our need to ever live authentically, to live in our Sat Naam. The inspired verses of Siri Guru Granth Sahib advise us that all of creation is taken up with religion, but Sat Naam alone is the realization and fulfillment of God's worship. So it is that Guru Gobind Singh Jee laments in Bachitar Natak, his account of the history of religions, for all the masters, scriptures, and prophets of the past, "No one meditated on the True Name." As a Kundalini Yoga instructor, I have taken up classes of people suffering all kinds of stress and trauma. It is under stress and trauma that we are most likely to be "beside ourselves." When these pressures are on-going and we lack the skills to cope with them, we are liable to be chronically other than ourselves. For some of us, relief from this painful duality only presents itself in the form of the temporary stupor afforded by alcohol or some other addiction. "You are called by Names according to your Attributes..." Siri Guru Granth Sahib, Raag Maaroo, Fifth Mansion, Ang 1083. "I wish I'd had the courage to live a life true to myself..." Bronnie Ware, The Five Top Regrets of the Dying: A Life Transformed by the Dearly Departing, Carlsbad, CA: Hay House. "No one meditated on the True Name." Siri Dasam Granth, Bachitra Naatak. "I bow to the Divine Guru who gave the world the mantra of Sat Naam..." Bhai Gurdaas Ji, Vaar 1, Verse 1. "Those who do the hard work of meditating on the Name..." Siri Guru Granth Sahib, Japjee Saahib, First Mansion, Ang 8.